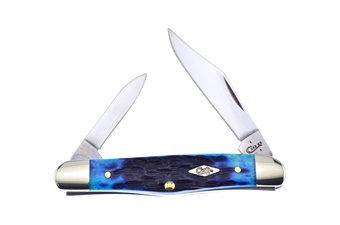 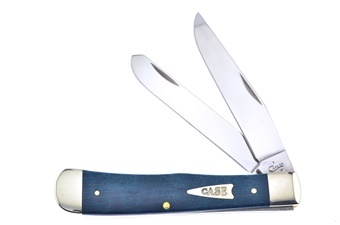 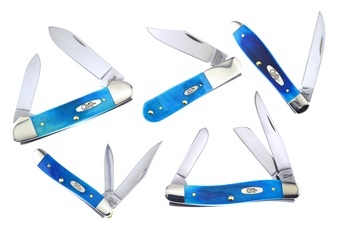 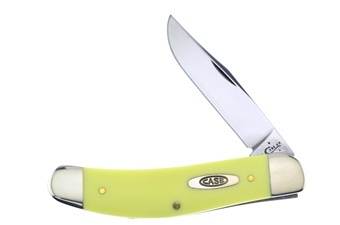 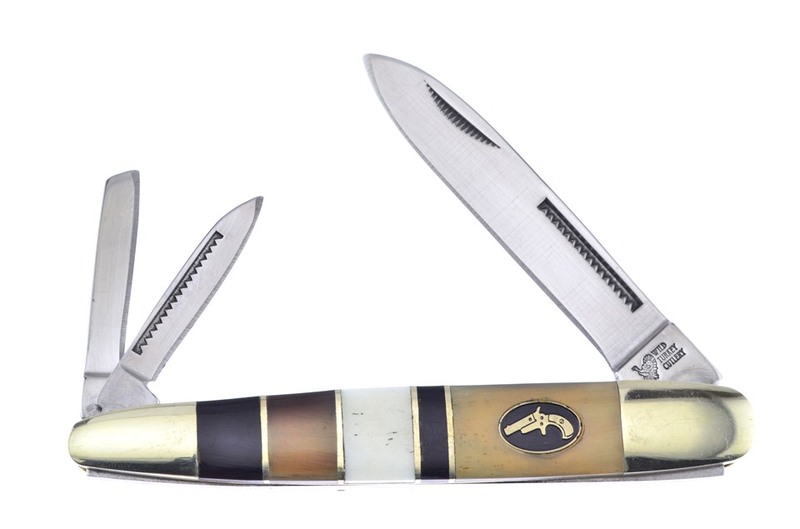 Here's a set of knives no collector will want to miss. 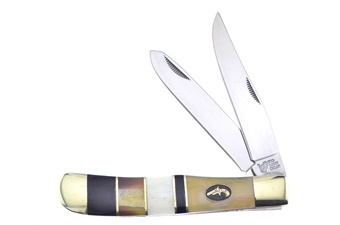 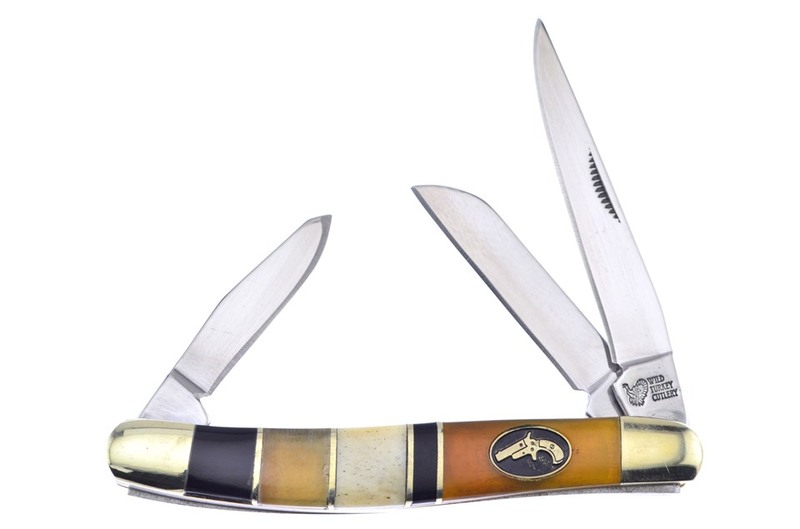 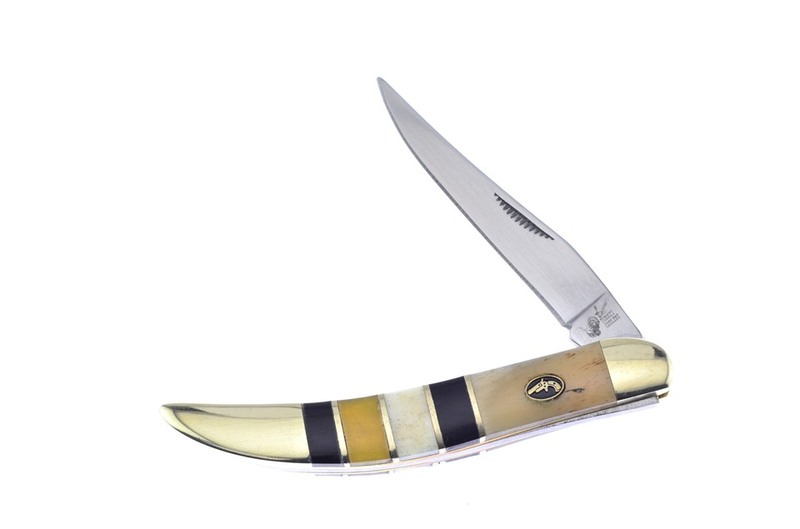 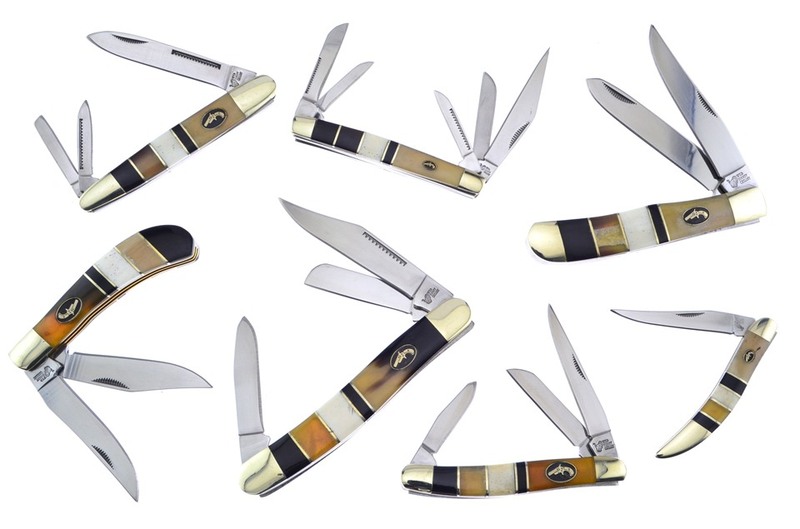 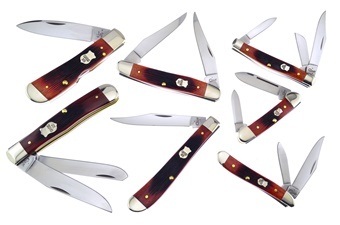 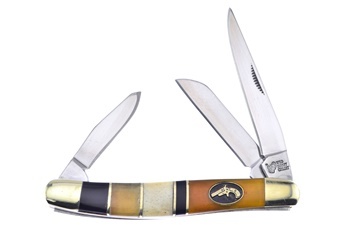 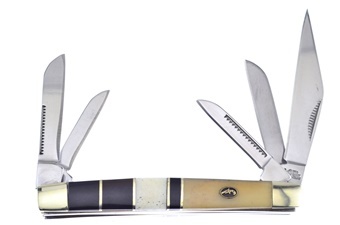 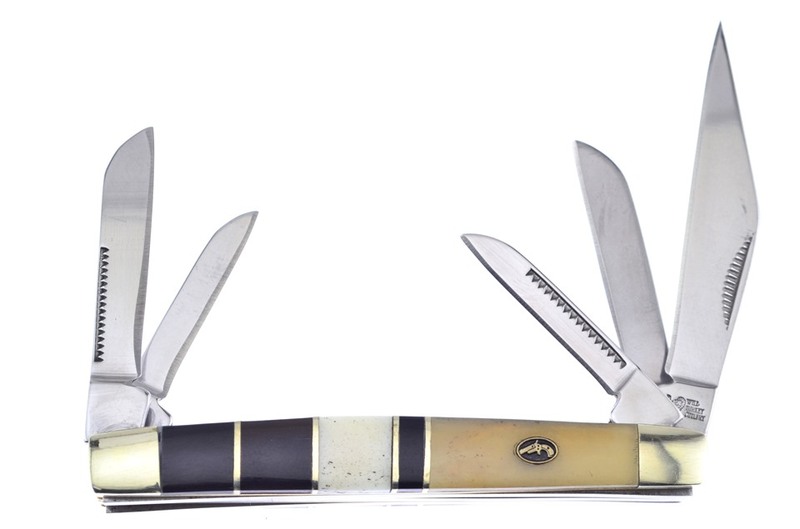 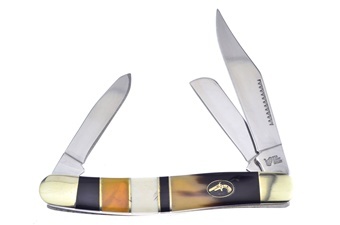 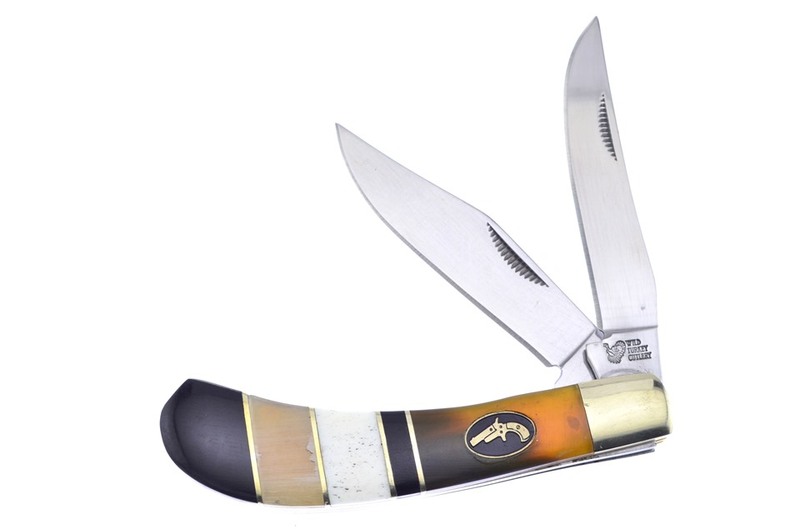 You'll get one of the 4 5/8" Bone/Horn Combination Stockmans, one of the 4 1/4" Bone/Horn Combination Trappers with Nickel Silver Bolsters, one of the 3" Bone/Horn Combination Toothpicks with Nickel Silver Bolsters, one of the 3 1/2" Bone/Horn Combination Kentucky 5-Blades with Thumbnail Pull, one of the 3 1/2" Bone/Horn Combination Mini Stockmans with Stainless Steel Blade, one of the 4" Bone/Horn Combination Whittlers with Stainless Steel Blade, and so much more! 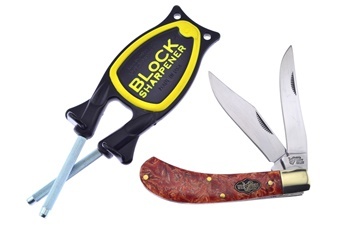 You won't find a lower price anywhere!